Jasmine @ Pt England School: Cook Islands week. In the Cook Islands we can climb the coconut tree. We need the coconuts to sell in the market. I like to visit the Cook Islands because they have beautiful friendly people and funny dancing and shiny beauty water. Hi jasmine I like your Cook Islands and the coconut from Arthur. I love what you would in the Cook Islands Jasmine, I wonder what you would do in when you go to Tonga??? 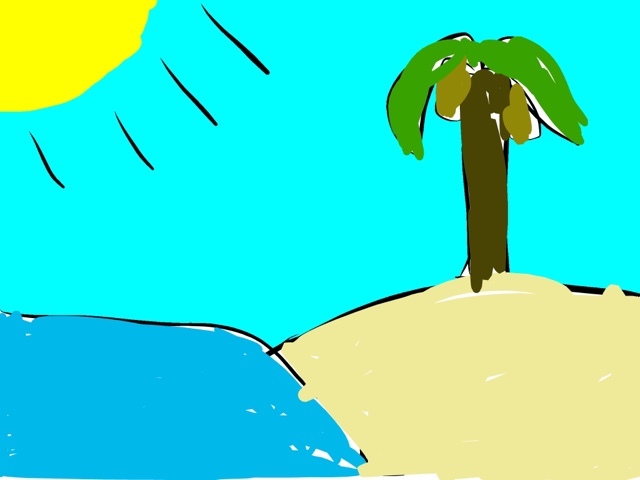 I think you use your imagination of coconut trees at Mama and Papa's place in Tonga...as it looks the same as in Cook Is dear....love the drawing..and am proud of you always..